Rattail cord has a lovely shine. It is great for so many applications and the 1mm size perfect for kumihimo projects! It would be great with mixed fibers - try hemp and rattail, maybe some yarn. 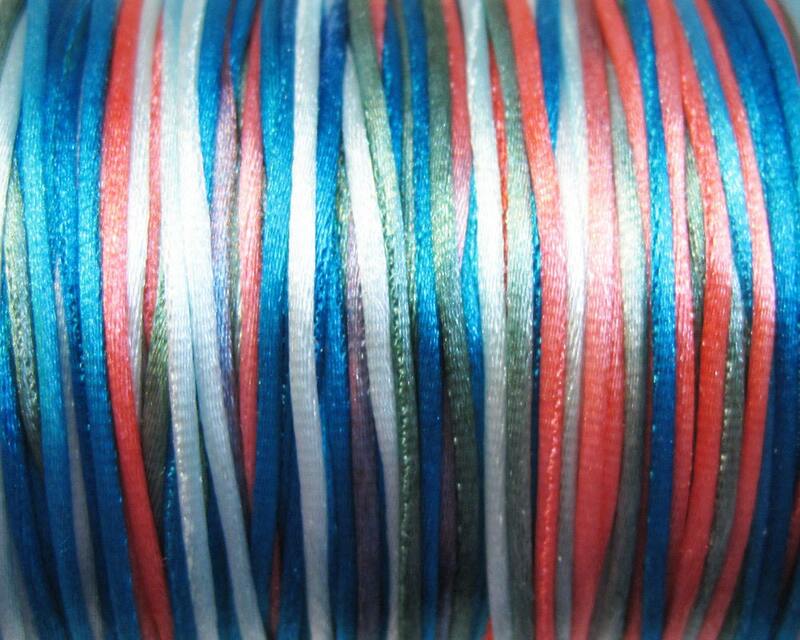 You will receive 6 yards of beautiful southwestern variegated 1mm satin rattail cord in a color I call Shades of the Southwest! Love the colors and the quality. Quite an assortment. Couldn't be any happier! Thanks.